1. An indoor facility to have a place to conduct indoor training during cold/inclement weather. 2. Locker rooms for teams to have a safe place to meet before/during/after matches. 3. Landscaping improvements to our entryway and additional lighting on our training fields. By purchasing a BRICK you can help us reach our DREAM and also leave your mark on Williamston soccer. These bricks will be used to pave the area around the concessions stand and will be visible by all who visit the Williamston Soccer complex. Corporate & Business sponsorships include additional visibility based on the level of sponsorship. Please help us “Pave the Way” by ordering a brick or maybe two! We would love to speak with you regarding our Dream Project and have you be part of the strides we’re taking to keep our Complex one of the best in the State! Williamston has had a long tradition of producing excellent soccer players and teams, capped by multiple State Finals appearances on both the Boys’ and Girls’ sides. 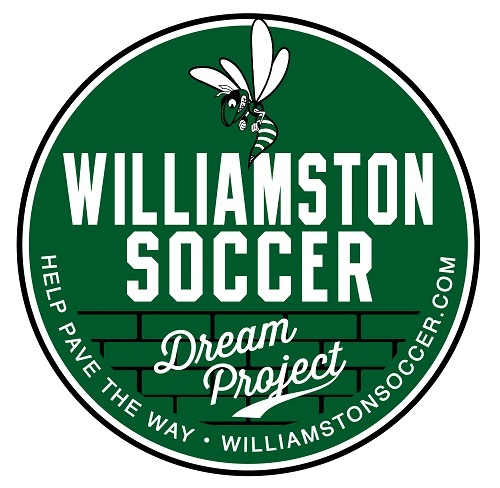 Williamston Soccer Boosters has mirrored the program’s development and was founded to promote high school soccer in Williamston, consistent with the educational philosophy of the school community, and have been a major part of the Boys’ and Girls’ seasons ever since. Throughout the years – led by the efforts of the Boosters and in partnership with the Williamston Soccer Club and youth programs – we’ve developed one of the highest-quality soccer facilities and programs in the state! 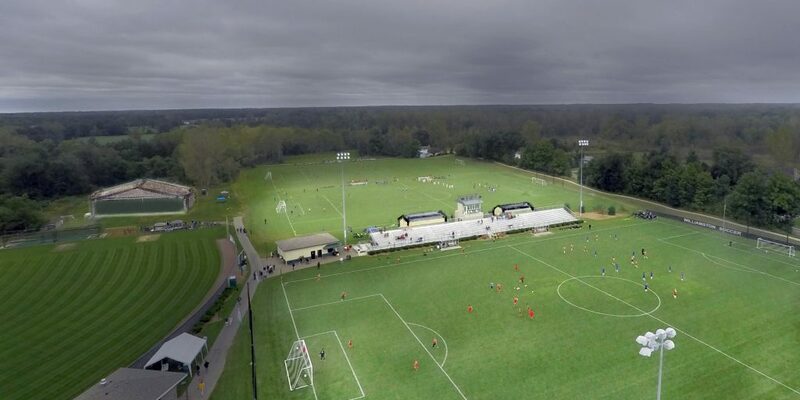 Williamston’s Soccer Complex has been in the soccer spotlight the last 10 years hosting MHSAA District and Regional Tournaments every Fall & Spring Season and hosting the MHSAA Girls State Finals 5 of the previous 10 seasons. Williamston also plays host to three very well-known Showcase events in both Fall and Spring, attracting some of the top teams in the State along with soccer fans from all over, as well as serving host to a 4V4 Tournament in the Summer that attracts 60-75 teams from around the State. The Williamston Soccer Complex welcomes thousands of spectators every year. Williamston Soccer Complex – Proposed with Indoor Facility located in the back, left side of the field, locker rooms behind the bleachers, and lights on the two practice fields.